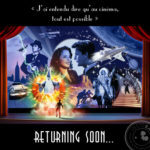 It’s no secret that Disney is looking to capitalize on the popularity of the Marvel Cinematic Universe by bringing multiple Marvel-themed attractions to Disney California Adventure, Hong Kong Disneyland, and Walt Disney Studios Park at Disneyland Paris in the coming years. 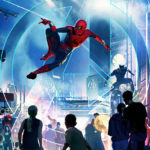 Today, we’re getting a glimpse at two of those expansions, with the Disney Parks Blog sharing concept art for Marvel lands at Disney California Adventure and Walt Disney Studios Park. 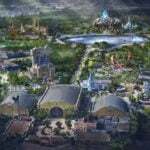 New concept art gives us a sneak peek at what’s to come for expansions at both the Disneyland Resort and Disneyland Paris. At Disney California Adventure, the new land joins Guardians of the Galaxy – Mission: BREAKOUT!, taking over the area that was home to A Bug’s Land. Meanwhile, Walt Disney Studios Park in Paris will see Rock ‘n’ Roller Coaster converted to an Iron Man attraction and other experiences join that area. This expansion comes as part of the announced €2 billion investment that will also bring Frozen and Star Wars to the park. Before the new area opens, Walt Disney Studios Park will once again host the Marvel Season of Super Heroes (formerly Marvel Summer of Super Heroes) next March. Additionally, the resort’s Hotel New York will be rethemed to Disney’s Hotel New York – The Art of Marvel, opening in 2020. 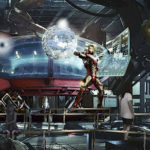 A third Marvel area is already partially open at Hong Kong Disneyland where the Iron Man Experience debuted last year. Ant-Man and the Wasp: Nano Battle will join that attraction at the park in March 2019. “There was an idea. To bring together a group of remarkable people, to see if they could become something more. It was called the Avengers Initiative.